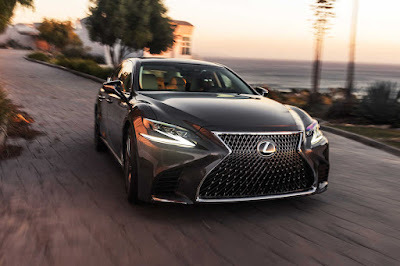 After having to recall them for a faulty start-stop system, Lexus Philippines has announced a new safety recall concerning selected number of 2017-2018 LS 500h and LS 500 models. According to a statement released by Lexus, these vehicles may have improperly installed run-flat tires during the assembly process. If left unchecked, there’s a possibility that a crack might develop on the tire’s sidewall reinforcement layer. Lexus says this will result in abnormal noise and/or abnormal vibration. However, in the most extreme circumstances, it may lead to the tire tread getting separated reducing vehicle stability. Lexus Philippines has already started contacting affected owners. The vehicles in question will undergo an inspection, and if necessary, have the affected tires replaced with new ones at no cost to the customers.